Being a member of a Troon-managed facility has its benefits. 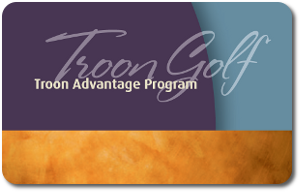 Full golf members* of all Troon golf clubs are invited to take advantage of very special rates at participating Troon managed facilities worldwide. Each member and up to three guests can enjoy great courses and destinations at incredible rates around the world. All tee time requests can be made up to 30 days in advance and are subject to availability. Click on your favorite destination below to view rates and request tee times. Cancellation Policy: To cancel or modify your tee time you must do so 48 hours in advance to avoid cancellation fees.